MAKE AMERICA SAFE AGAIN DAY 1 - Former New York City Mayor Rudy Giuliani may have stolen the spotlight. Addressing the crowd in Cleveland on Monday, Giuliani delivered an impassioned defence of police officers that repeatedly brought the Republican convention hall to its feet. “We know the risk you’re taking out there tonight protecting us — black, white, Latino. Of every race, every colour, every creed, every sexual orientation. When they come to save your life, they don’t ask if you’re black or white. They just come to save you!” Giuliani exclaimed. 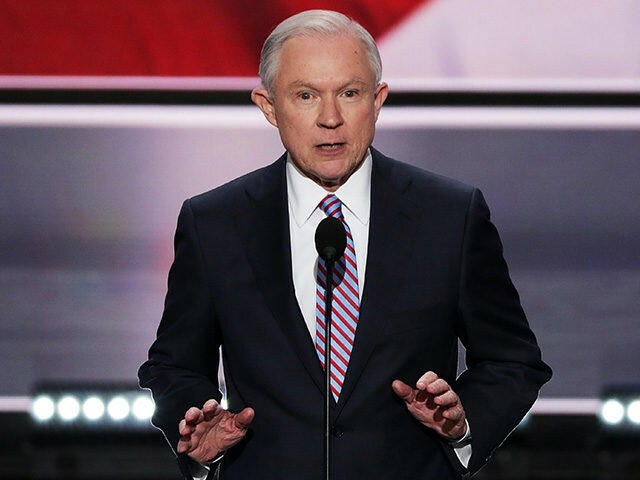 MAKE AMERICA SAFE AGAIN DAY 1 - During the cable news coverage of the first night of the Republican National Convention, CNN, MSNBC and Fox News Channel cutaway from Sen. Jeff Sessions address to the delegates. "Average Americans have been the first to know something is wrong with this economy. Our middle class is steadily declining, with our African American and Hispanic communities being hurt the most. But, the Washington establishment, the media, and big corporations have been in denial." Sessions said. "Donald Trump is the leader that will bring change. He has the strength, courage, and will to get it done"
MAKE AMERICA SAFE AGAIN DAY 1 - Karen Vaughn — whose son, Navy SEAL Aaron Carson Vaughn, was killed in Aug. 2011 when his helicopter was shot down over Afghanistan — called for the U.S. to loosen its military rules of engagement. “There is no adversary the U.S. military cannot defeat if we can unbind them from the restrictive, ludicrous rules of engagement they've been forced to fight under for the last seven years,” she said, in a speech making a case against President Barack Obama’s foreign policy. MAKE AMERICA SAFE AGAIN DAY 1 - It was the theme of the first night of the Republican National Convention, “making America safe again,” and some asked who better to discuss the topic, than army veteran and Arkansas Senator Tom Cotton? “There is not a member of Congress that is more committed to building our national defense, and understand the challenges we face for national security," said Sen. Jim Hendrin, a Republican who attended the convention. “We don't fight because we hate our enemies, but because we love our country," Cotton said to the convention. MAKE AMERICA SAFE AGAIN DAY 1 - Republican candidate for U.S. Senate Darryl Glenn spoke in the evening in Cleveland and started out by stating his conservative stance on issues like abortion and gun control. “This president ran to be commander in chief. Unfortunately his rhetoric has made him divider in chief,”(referring to obama). Glenn also took a swipe at Hillary Clinton during his speech. MAKE AMERICA SAFE AGAIN DAY 1 - Rep. Sean Duffy (R-WI) and his wife, Rachel Campos-Duffy, delivered a humorous and rousing address to the Republican National Convention in Cleveland, reminding the audience that they were the first reality TV stars — before Donald Trump. In their speech to the crowd of delegates at the Quicken Loans Arena, they joked that they had taught their seven children several moral lessons, including no boys in teenage girls’ bedrooms, and no private email servers in the family basement. MAKE AMERICA SAFE AGAIN DAY 1 - Milwaukee County Sheriff David Clarke reminds GOP convention delegates of the importance of supporting law enforcement. No individual, including Hillary Clinton, is above the law, he says. “Ladies and gentlemen, I would like to make something very clear: Blue Lives Matter in America!” Clarke said. MAKE AMERICA SAFE AGAIN DAY 1 - Rep. Michael McCaul of Texas, asked the whether it had had "enough" of Obama's "reckless" policies. "And now Hillary Clinton is promising more of the same — open borders, executive amnesty, and the surge of Syrian refugees," he said. "This is a dangerous, liberal agenda, and it's time for a change. It's time to take back our country and make America safe again!" McCaul declaired. MAKE AMERICA SAFE AGAIN DAY 1 - The father of a standout Los Angeles High School football player who was fatally shot execution style by a gang member in the U.S. illegally spoke Monday night at the Republican convention in Ohio. "One minute, I'm hearing my son's voice, 'be right home ol' man, I'm right around the corner,'" Shaw Sr. told the crowd. "The next minute, gunshots and Jas is dead." In closing, Shaw told the crowd Trump was "sent from God."